This Chugger pump has a magnetic-drive with a plastic head. 1/2" connections. 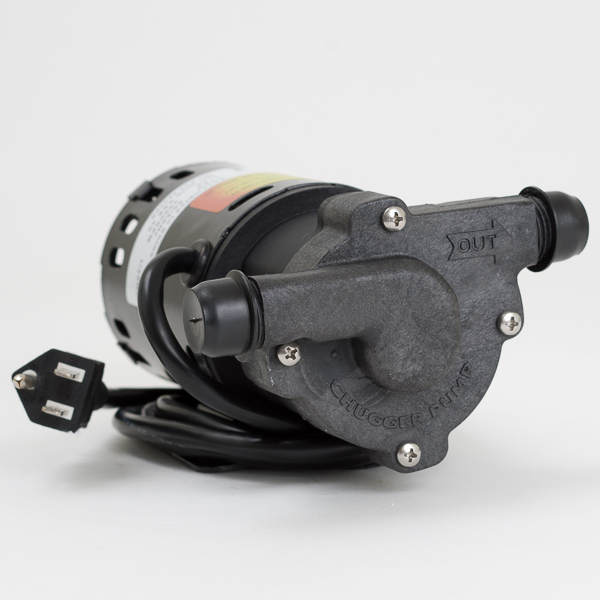 This pump has a Polysulfone Impeller and is good for up to 250F. 115 volts.